Harvest is on my mind this week, both literally and metaphorically. There is a literal harvest happening – the Bear is in charge of the olive harvest on the farm he manages, and for him, this is not just your average yearly harvest, but a victory against the odds as a result of consistent, applied effort. The mid-north coast of NSW is not your ideal olive growing paradise. It rains at all the wrong times here for a Mediterranean fruit, and any kind of harvest is a kind of miracle. But this year, his third season on the farm, he’s cracked it – it’s the biggest harvest ever. He described to me his picking dance: pick, thank you, pick, thank you, pick, thank you. :). That’s what harvest is all about isn’t it? Hard work coming to fruition with gratitude. Hand picked olives straight from the farm. Did you know this about shop bought olives: “Black olives aren’t ripened the way you think. Black and green olives aren’t different varieties. Green olives are the more unripe version of black olives. Olives can age on the tree, and will shrink and become darker, however commercially produced olives are not harvested like that. 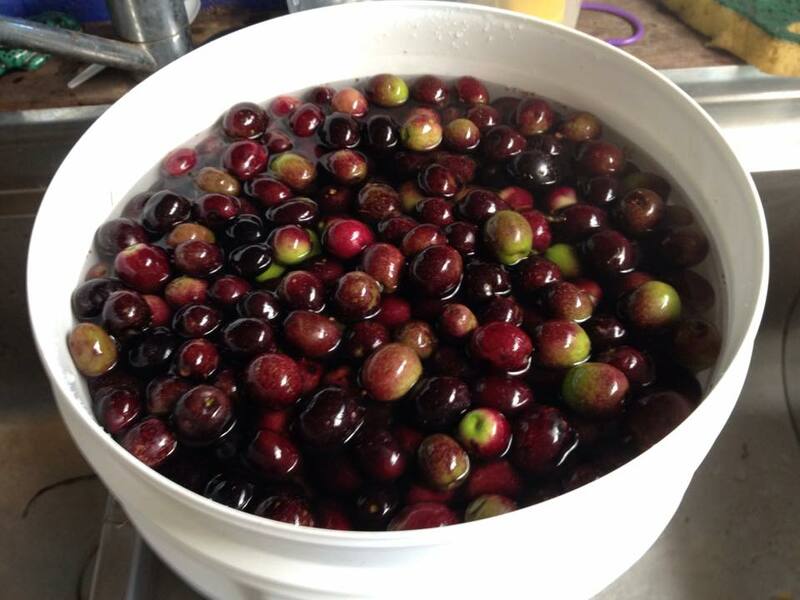 Instead they are picked green, treated with caustic soda and spun in oxidised water to speed ripening. Once they’re shiny and black, a black substance called ferrous gluconate is added to make sure they stay that way.” SMH article: Things You Didn’t Know About Your Food. Thanks EllaDee for sharing that information! Another literal (Mediterranean) harvest at the moment, albeit much smaller, is our home harvest of pomegranates. 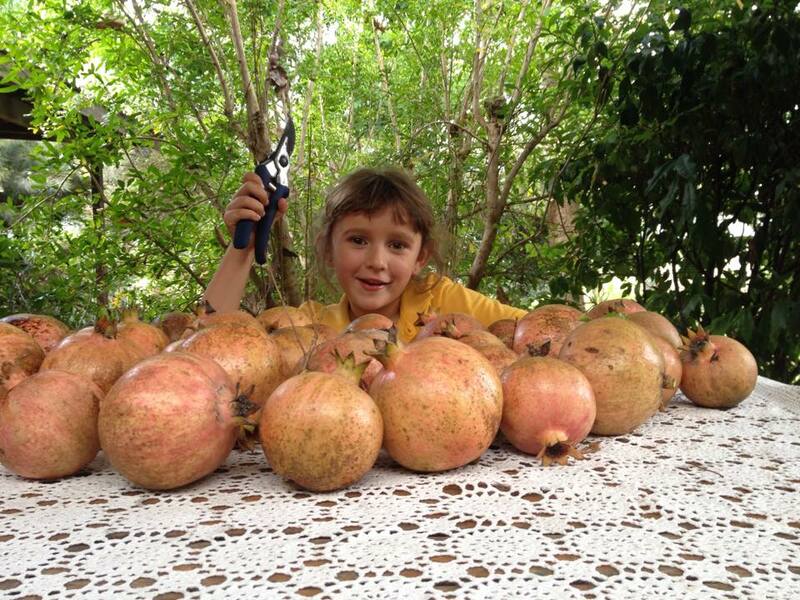 Alani my daughter, with our biggest harvest of pomegranates by far. We’ve got so many pomegranates that we can’t eat them all – I’ve made pomegranate syrup, and am taking requests from excited friends :). Pomegranates are uncommon here – they cost $4 each imported from the US in the supermarkets. True :). 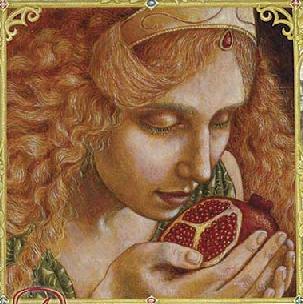 Persephone is often shown holding a pomegranate. 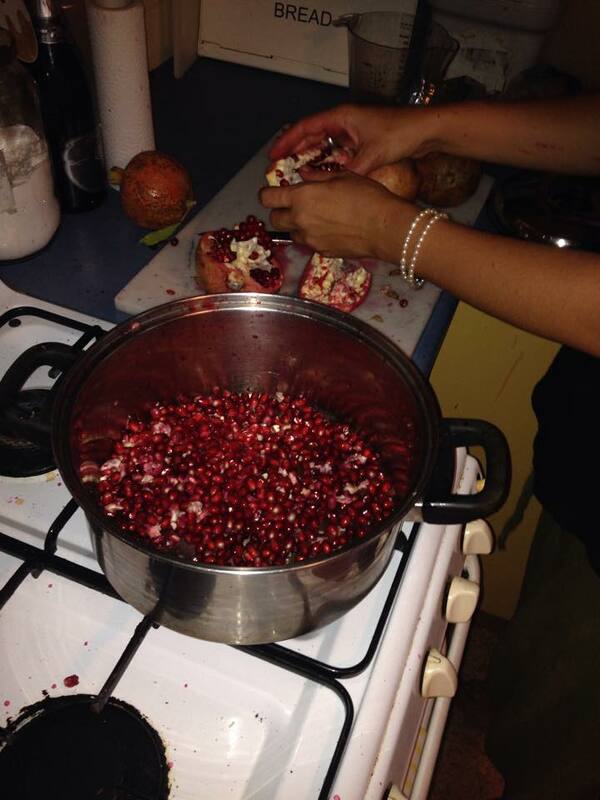 Having my hands in pomegranate seeds bought to mind the Persephone Myth. This is one version of it: Demeter and Zeus had a beautiful daughter Persephone. Demeter, Goddess of the Harvest, loved Persephone more than life itself. The God of the Underworld, Hades, had his eye on the beautiful Persephone and kidnapped her one day, taking her down to his underworld kingdom. Demeter was devastated; in her loss, she neglected her duties as Goddess of the Harvest and the Earth grew cold and barren. Finally she grew angry and demanded that Zeus find Persephone, and Zeus, alarmed at what was happening to the Earth, agreed. He sent Hermes down to the Underworld to find Persephone. Instead of a frail and broken maiden, he found a glowing, confident Goddess, who said she had found her calling in the Underworld, greeting the new arrivals and helping them adjust. She was torn between her desire to see her mother and her need to stay with Hades and do her work. Hades tells her to go and see her mother, and gives her six red pomegranate seeds which stain her mouth red. Demeter is so happy to see her daughter, but knows that something has changed. Persephone is not the naive maiden she once was, but a fully grown woman – a true Goddess. Zeus wasn’t happy either, because his condition for Persephone being able to return from the Underworld (something that nobody is allowed to do) is that she was untouched and pure. When he saw the stain on her lips from the pomegranate, he told her that she must return to the underground for 6 months of every year. So every year, in Autumn, Persephone returns to the underworld to do her work of greeting and helping the new arrivals, and Demeter grieves, bringing winter. In the Spring, Persephone returns, bringing fertility and warmth to the Earth once more. I love this story, because it illustrates the Heroine’s Journey as opposed to the Hero’s Journey – in the Hero’s Journey, the Hero journeys out into the world and brings home a prize, and in the Heroine’s Journey, the Heroine journeys into herself and brings home wisdom. This is the yin and the yang, the masculine and the feminine – and both journeys are important for us all. This weekend, as soon as I’ve finished this blog post actually, I am leaving for a two day writer’s retreat. Yesterday I finally finished the outline of my book, and I am ready to start the writing process. After 6 months of planning, it seems the Harvest is upon me. The timing seems fortuitous – today is the Aries new moon, the newest of all new moons as Aries is the first sign of the zodiac, the autumn equinox and harvest time. I am terrified and excited, all at the same time :). Manning Up and Leaning into an Equal Marriage by Dr Kelly Flanagan for Babble in the #leanintogether Campaign. Yes, you definitely should :). That’s it from me my friends – I hope you enjoyed it. I am going to be offline for most of the weekend, so forgive me if I don’t respond to your comments straight away. You know how much I love a comment or 20, so make sure you leave me a love letter if you are inspired to <3. 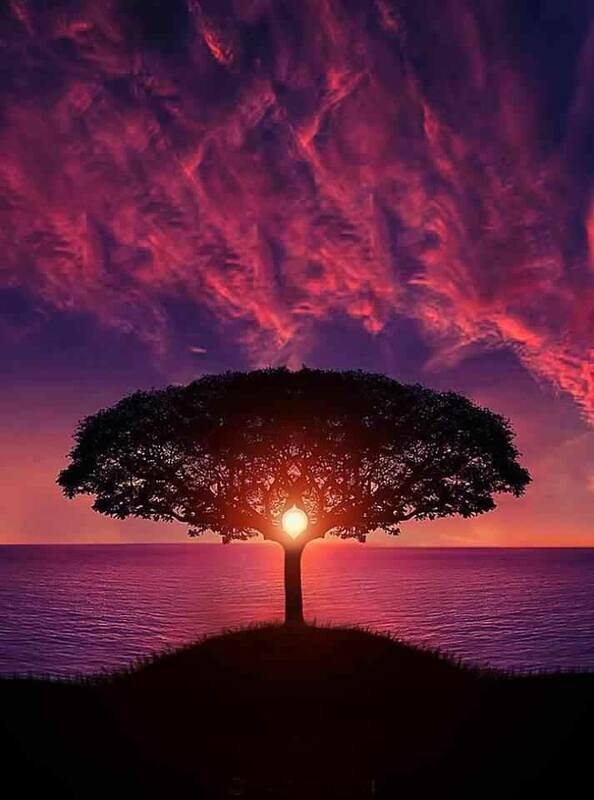 Have a beautiful weekend, won’t you. Hope you had a wonderful weekend 🙂 Oh those olives look wonderful, and the abundance of pomegranates! The best words and, poetry gave me food for thought, the world really needs creativity and light to shine and give voice to its various forms… sometimes I need other perspectives to help me really see and make sense of mine. What am I harvesting? An interesting question. 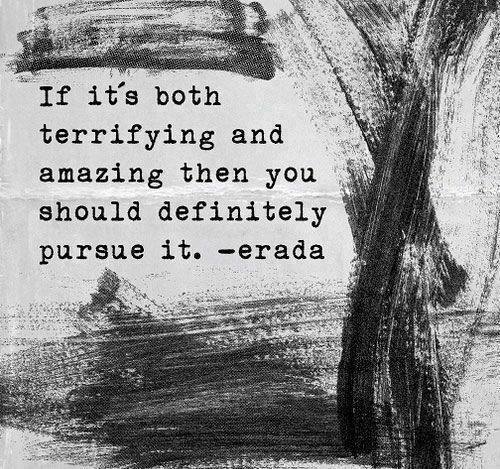 From the amount of time I spend online researching, on Pinterest, scribbling things down, saving links, having conversations of future possibilities… I think plans and ideas… both terrifying and amazing. The best graphic surely speaks to it. I had a lovely weekend, thank you; full of laughter and inspiration. The pomegranates have been absolutely beautiful this year – a bumper crop. Another Mediterranean fruit! Your Bear sounds like a great man — harvesting with gratitude. And holding down the fort while you’re on your writer’s retreat! Sara, I didn’t know you’re writing a book…how exciting! Was the retreat a place to give you the space to begin writing the book? I’ve dreamt of taking off for 2 days to go write. Perhaps someday, when the time is right. Interesting how your new moon was in Aries as over here it was in the last degree of Pisces — same place in my chart, but totally different energy. It was an eclipse — so I too expect big things to come. Yum to pomegranates…we drink a lot of it in a juice around here! Enjoy!! You know what, Elysha? You’re right, my man is pretty awesome. And also – you are absolutely right – that new moon was in the last degree of Pisces. I had made an assumption without checking it! Tsk. I am working on a book of sorts – I haven’t spoken about it much because I don’t want to jinx myself, but I will definitely talk about it more when the first draft is finished. It’s a workbook. I actually didn’t work on the book at all on the retreat – a non fiction piece is due for our yearly competition on Saturday so I was working on that. I had only some scribbled notes, so there was much to do. Mostly though, it was for inspiration and connection. Sara, I did not know my favorite green olives are unripe versions of those despicable black olives that my younger daughter loves so much, so I suppose tastes in olives is not genetic. A really iinteresting and refreshing post. Thank you. Yes, green olives are just unripe olives! I wonder, now that I know more about black olives, if you would like them more if they were properly ripened on the tree rather than what the processors do to them. My family loves olives, and anything strong and sour like capers and pickles too. Me, not so much, although I don’t mind them in things. Eating olives or capers straight out of the jar like my kids do is not for me though! I was a little thrown by it being harvest time and then I remembered that you’re down under. Have you heard the Persephone myth in which she chooses to go down into the underworld — no Hades to force her — because she feels sorry for the people down there and wants to spend part of each year cheering them up? And no I haven’t heard that version of the myth 🙂 There are quite a few I’ve read but not that one. Intriguing! Well, you were smarter than me – I never suspected a thing about olives, although now I think about it, of course they wouldn’t be all uniform in colour like that. What fruit is? Hooray for the last graphic one and double hooray for your pomegranate harvest…damn, you weren’t kidding! So good! Sara, I’m very impressed that you made that fabulous salad. I had a delicious couscous salad today at a lovely restaurant that I went to with my daughter-in-law and grandbaby. However, it did not have pomegranate seeds.Yours sounds even better. Easy? That’s for me. Please do post it. Thanks to you, I’ve popped it in this week’s post , due out in a couple of hours. Enjoy! I loved reading of Harvest – olive and pomegranate…Whilst I was happy to skip this Australian Summer Vege Garden Harvest (and its associated tasks!) I am missing my own space for fresh produce. I am helping the ladies here harvest Kerau (peas), sacks and sacks of them. Hand picked, then Head Carried up to the 5am Local bus to sell at a nearby market, to return by 7am to pick more. I help out in the afternoons, haven’t made the early morning market outing yet 🙂 Delicious and nothing like shared tasks of picking to overcome language barriers! ‘After the Storm’ is simply beautiful truth. It was wonderful to read. Writing Retreat- ah the joy bliss of retreat. I hope it was wonderful. I am pondering doing ‘morning pages’ as part of next 40day practice, otherwise written expression/reflections sometimes doenst make it in to the day to day. We are heading into a month long school holiday break, and hosting family coming over from Australia – all wonderful, but regular practice and soul time will be important to weave in to the 100% kids and hosting realities. I note the capitalisation of the summer vege garden harvest :). I know what you mean, a garden is a big job. I am a fair weather gardener at my very best, so my vege garden is pretty ordinary, although we did harvest some beautiful corn, beans, cucumbers and lots if herbs along with our pomegranates. How wonderful that you have family coming to visit – I know the stresses that accompany that, but still, how exciting. A 40 day morning pages commitment. That would be wonderful indeed. I still haven’t decided, but will put it out there and wait until some inspiration excites me!